Sectionals are terminal blocks which are made up of individually molded units with electrically conductive members. Marthon offers barrier sectionals from 3/8" to 1/2" pitch, Euro styles sectionals from 5mm to 12mm pitch with fusing, disconnection and grounding options. 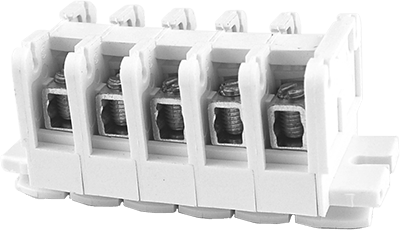 These sectionals will mount on either a standard 35mm DIN rail, channel rail, or panel (anchor directly). 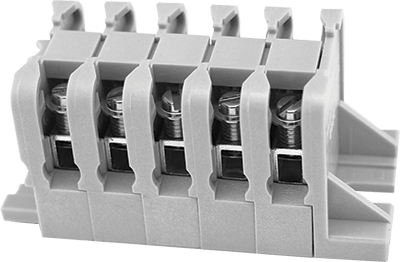 The voltage ratings of terminal blocks are based upon the minimum spacing between electrically conductive parts line-to-line through air and over surface and line-to-ground through air and over surface. Class A - Service, including deadfront switchboards, panel boards and service entrance devices. Class B - Commercial appliances including business equipment and electronic data processing equipment. 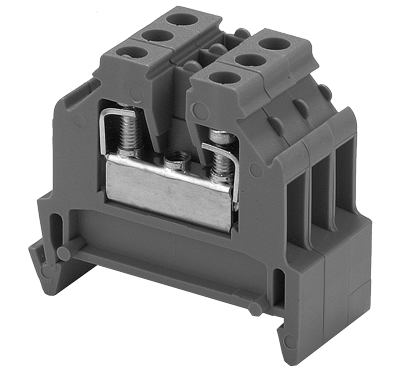 Designed for electrical termination of wire where flexibility of circuit design is necessary. 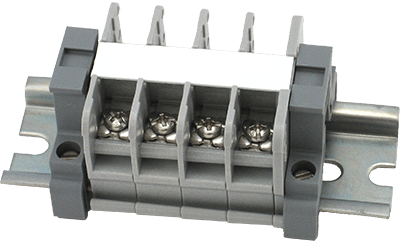 Accept single or multiple wire sizes for tubular screw and tubular clamp styles.